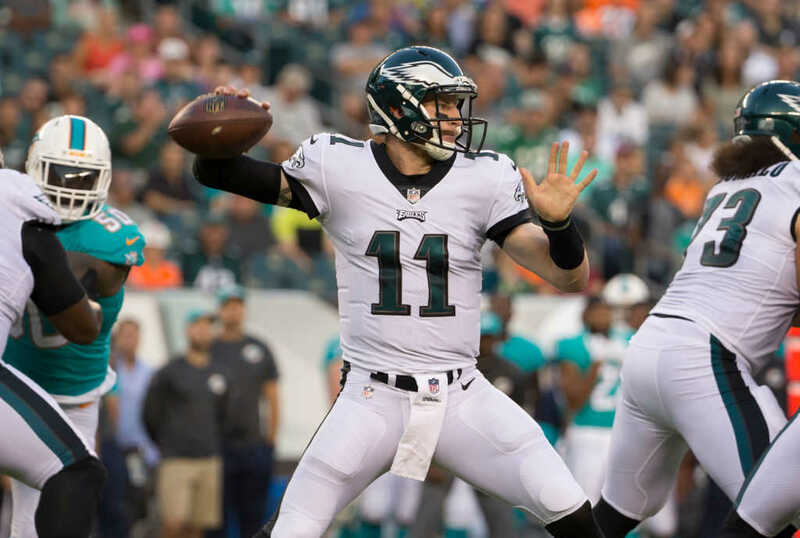 Anyone who’s been paying attention to Philadelphia Eagles quarterback Carson Wentz knows that he’s a Christian who openly shares his faith in God — and he has no plans of stopping anytime soon. The 24-year-old NFL star admitted, though, that he is sometimes walking a fine line, as he doesn’t want to “force it down” anyone’s throat. In the end, Wentz said that living out his faith is the most important thing he can do. “At the end of the day, just kind of how I live and what I’m about and hopefully can kind of speak through,” he said. “I never want to be the guy who’s beating people over the head with the Bible. That’s not what I’m about. That’s not really what Christianity is about. While he said he knows that some people speak negativity of his frequent faith messages, he’s not too concerned and has no plans of stopping his faith chatter. Wentz said he hopes to use his platform “to make a difference [in] peoples’ lives” and his AO1 foundation aims to do just that; it’s an effort aimed at assisting the less fortunate. Never underestimate the power of prayer! God longs for that intimate time with you! As Faithwire previously reported, the Eagles are a pretty faith-filled team. In fact, ESPN published an article last year, revealing how team members “find common ground through spiritual devotion,” with players routinely engaging in Bible studies, baptisms and other faith-affirming activities. It’s a fascinating situation in which a large number of team members vocally place their Christian faith above anything else.